X-mirror and Topology mirror seem to fail even in the simplest cases. Move the vertices, the opposite side in X is not moving. T60239: Proportional editing acting weirdly - Only half of the shape is reacting to it. T59402: X mirror does not work. 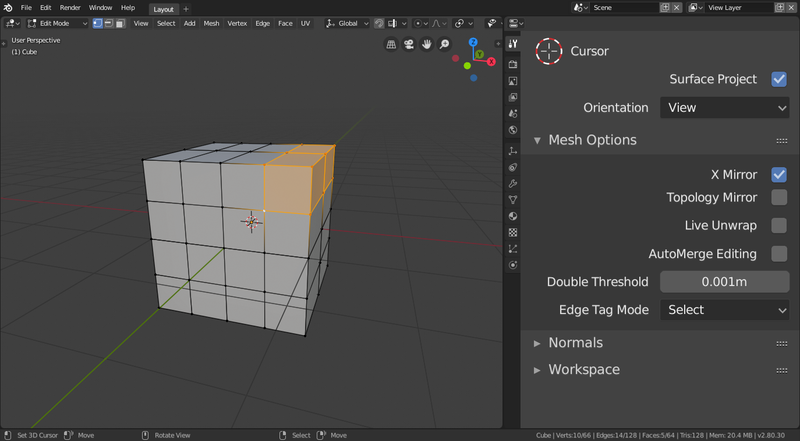 Pablo Vazquez (pablovazquez) renamed this task from Edit Mesh: X-Mirror not working to Edit Mesh: X-Mirror/Topology Mirror not working. Thanks for having a look at it already. I mentioned it in the last meeting and I understood it was unreported. You can close this or keep it as reference since this is an actual bug report. Philipp Oeser (lichtwerk) added a subscriber: cuong (vuiquahuhu). Brecht Van Lommel (brecht) added a subscriber: lucas veber (lucky3). Brecht Van Lommel (brecht) added a subscriber: Jean Da Costa (jeacom256). Pablo Vazquez (pablovazquez) added subscribers: Agustin (macagu), Jon McKay (ammusionist). Brecht Van Lommel (brecht) added a subscriber: Steve Warner (stevewarner). Brecht Van Lommel (brecht) added a subscriber: George (nomad1983). Brecht Van Lommel (brecht) added a subscriber: Pablo Emanuel Ambrosio (zombiebeats). Philipp Oeser (lichtwerk) added a subscriber: Jorge Molina (georgbernier). Philipp Oeser (lichtwerk) added subscribers: Edgard Antonio Caliman Oliveira (edgard_caliman), Campbell Barton (campbellbarton). Brecht Van Lommel (brecht) added a subscriber: HADESBLACK. Brecht Van Lommel (brecht) added a subscriber: Wan Lee (spinear). 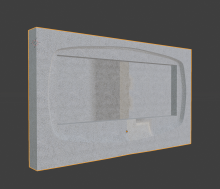 Any news about the mesh mirror functionality? Brecht Van Lommel (brecht) added subscribers: Camille (Ekiwnox), Brecht Van Lommel (brecht). @HADESBLACK (and everyone else interested): it is currently being discussed [in D3869] if moving the per-mesh-option to a tool seeting (that would work the same for every object selected). Brecht Van Lommel (brecht) added a subscriber: Richard Rose (richeyrose). Campbell Barton (campbellbarton) added a commit: rB65b82e09d94e: Fix T57852: Mesh X Mirror option not working. Have a weird bug with a normal map texture and I'm not sure if it's linked to this problem. First I modeled the object bellow really fast and I had weird shapes/shadows on the object on Eevee and Cycle without any texture. I first thought It was maybe a doubles points so I remove every double points but nothing changed. I also made the normal consistant but nothing happened. Finally I remodeled the whole object more clean, but same issue. 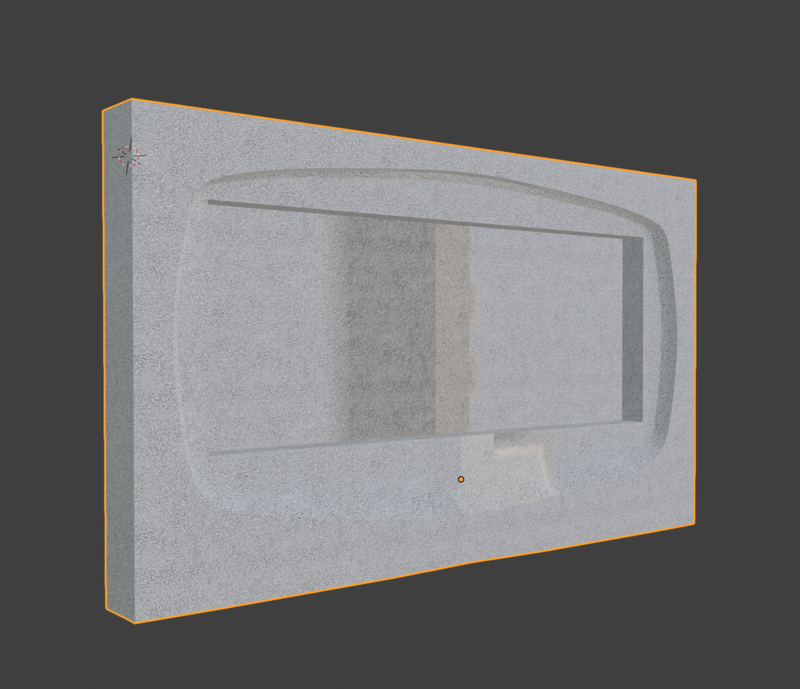 This time the object seems nice on Eevee and Cycle but once I put a normal map, it lags again. I've checked all my texture and everything seems perfect. I've used mirror to do this model, that's why I thought that this issue could be linked to this issue. @Camille (Ekiwnox) this issue is resolved, open a new issue, refer to this if necessary.